Trusstec manufacture timber Trussed Rafters or Roof Trusses and Easi-Joist© metal web joists at their factory near Reading in Berkshire. As a professional you are expected to be an expert in every aspect of construction. 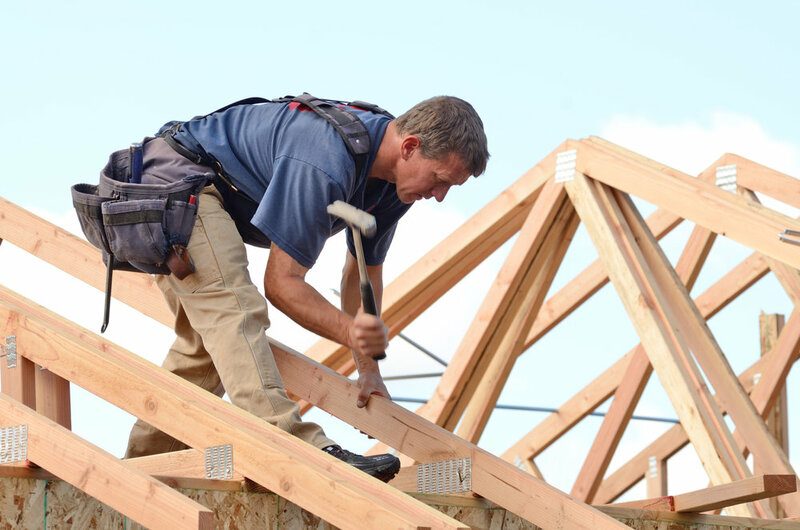 Trusstec have years of experience in roof trusses and easi-joists and can help ensure you provide that professional result to your customer. Trusstec pride themselves on their site erection drawings supplied with every roof or floor which ensure accurate and efficient erection on site. Trusstec offer a chargeable site measure service, especially useful for extensions where a new roof must match seamlessly with the existing. Building or project managing your own extension or new build is becoming increasingly popular but can be a little daunting for the inexperienced. Drop into the office, phone or email and Trusstec will discuss your project in simple terms and provide a drawing with every quotation showing exactly what your roof or floor will look like. Purchasing Trusstec trusses or joists through a merchant we guarantee to provide the same levels of service and backup that we provide all our customers. Get in touch on 0118 930 5009 to talk about your next project or complete our enquiry form. Technical Documentation | Privacy & Cookies | © TrussTec Ltd.